This microphone is an excellent choice for vocals. It is also amazing on instruments as well. The sound of this microphone is amazing. The clarity and warmth is like nothing I have ever heard. Vocals come out loud and clear with just enough warmth and brightness to satisfy any mix. 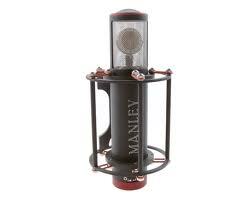 This microphone has been used on many of today's top recording artists albums. It is built very well and has a gold, 6 micron diaphragm. It even has a really cool design and does not look like any microphone I have ever seen. It sells for $2700 at Guitar Center and worth every penny.